When escaping Portland’s urban streets, you don’t have to choose between the outlying farms or forests. With the North Plains Farms and Forest Tour, you can experience both from the comfort of two wheels. The low-traffic roads with easy elevation gains are perfect for all levels—so long as you’re up for the 23.3-mile ride. Less than 10 minutes from the start of the route, you have a fabulous, newly-opened hotel option: Staybridge Suites Hillsboro North. As Hillsboro’s newest hotel, there are amenities everywhere you turn at this all-suite property. The hotel offers quick access to fantastic attractions: Topgolf, Rice Northwest Museum of Rocks and Minerals, and, of course, fantastic cycling routes. 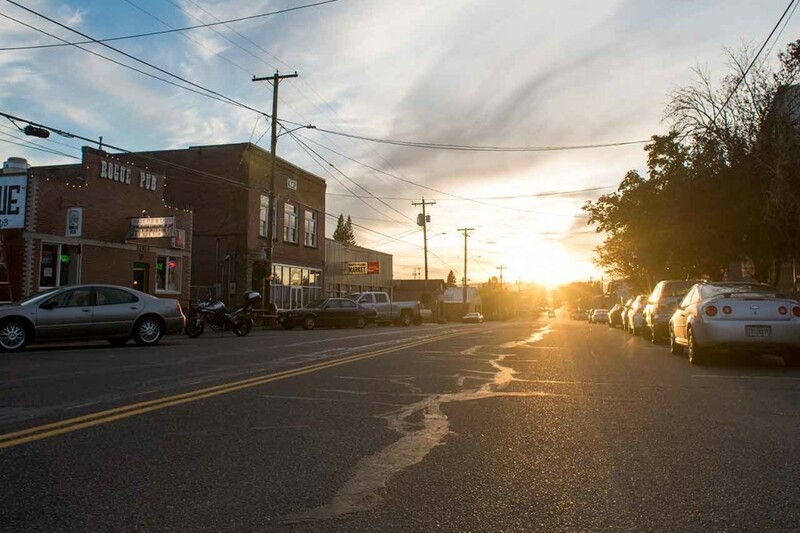 The route starts in downtown North Plains, which holds a distinctly slow-living Americana vibe. For classic burgers in a come-as-you-are dive bar, settle into a seat at the Rogue Brew Pub & Eatery. The elephant garlic burger is a great choice since the paved roads ahead won’t judge your garlic breath. Save room for dessert, though, as you’ll encounter The Pie Guy about halfway through your ride. The Pie Guy is a self-serve farm stand that makes dreamy homemade mini pies in scrumptious flavors. The farm stand runs on an honor system and is cash only. Folding your five-dollar bill to fit into the money box’s small slit feels homespun and quaint. Plus, the pies are downright delicious. Traveling north on the route, you’ll seamlessly transition from farmland to the forest-lined roads of Tualatin Valley. Nearby, Pumpkin Ridge Zip Tour and Horning’s Hideout are forest favorite attractions. No need to make dedicated pitstops at either destination as the route itself offers ample views of trees, trees and more trees. Come springtime, you’ll hear birds chirpings, see wildflowers blooming and breathe in that fresh forest air. Beautiful nature, cycling and maybe even some pie. We call that a day well spent. For even more cycling routes, read our guide to cycling in Tualatin Valley.